The next step in sending a Mail Chimp email notifying subscribers of updates to the blog category they have selected is to set up two different “campaigns” in Mail Chimp. 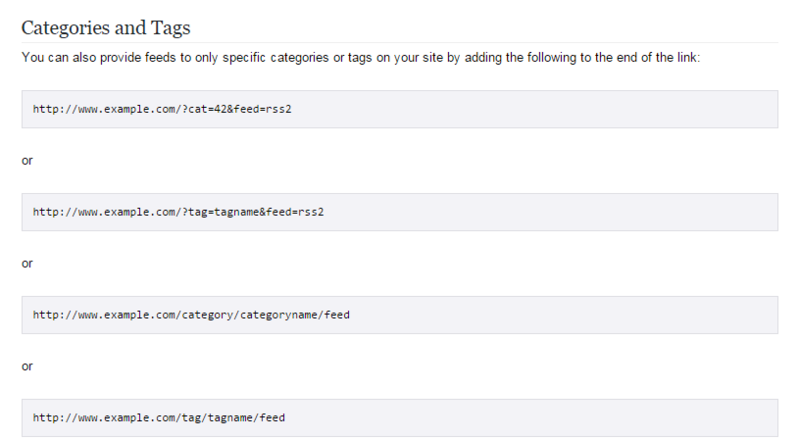 To do that I am going to need the RSS feed URLs for each category. This is how I got them. 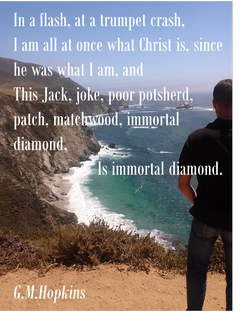 So to recap, I have one blog on my site but I have two different kinds of posts: I have posts on the topic of my site, which is Christianity, books, culture, etc., and I have posts on my project to set up a website about Christianity, books, and culture (a sort of meta-blog category, if you will). I wanted subscribers to be able to select which category they were interested in and then have Mail Chimp send them a notification when that blog category had an update. It is very difficult to have two different blogs on one WordPress website. It is far easier to have one blog and separate the different posts by attaching different categories. Then I set up a sign up form on my site, that let subscribers select which blog they wanted to receive notices about. Mail Chimp calls the emails you send out through them a “campaign.” I now have to set up two campaigns in Mail Chimp so that the subscribers get the right notices of updates. Mail Chimp lets you send out emails to your subscribers in several ways. You can send subscribers a one-time email, say an announcement you want to make. Or you can send out notices that your blog has been updated. Sending subscribers emails to let them know that there are updates on your blog is called an “RSS Newsletter.”An “RSS feed” is a way to send a notice of updates to blogs or sites, and people use something called “feed readers” to receive the updates and read them. Even Outlook can be set up to have a separate email account to receive RSS feeds. 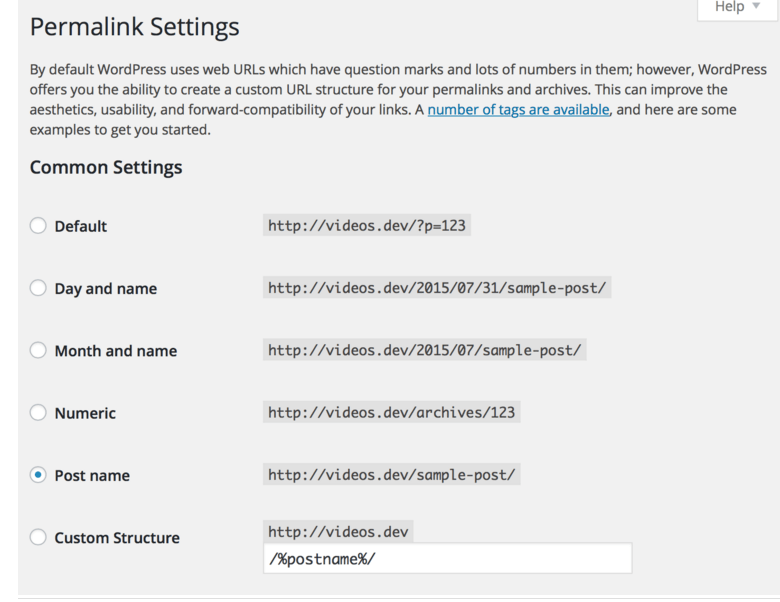 The Genesis and WordPress sites have RSS-feed-sending capability built in. Here is more on RSS feeds and feed readers. All my blog posts about “My Blog Project” are categorized on my site as ” Building a Website.” So if a subscriber signs up and indicates she only wants to get the updates on My Blog Project, I have to make sure that that is the RSS feed she gets. The key to getting the right RSS is to get the right RSS URL. Here is how I found the right RSS URL. So my first question was do I use “custom” permalinks or not? When I clicked the “permalinks link” in the text, I saw a listing of permalink types. I checked the URL with a URL validation site, the W3C Feed Validator. I worked with this for a few days—sometimes my feed was validated and sometimes not. 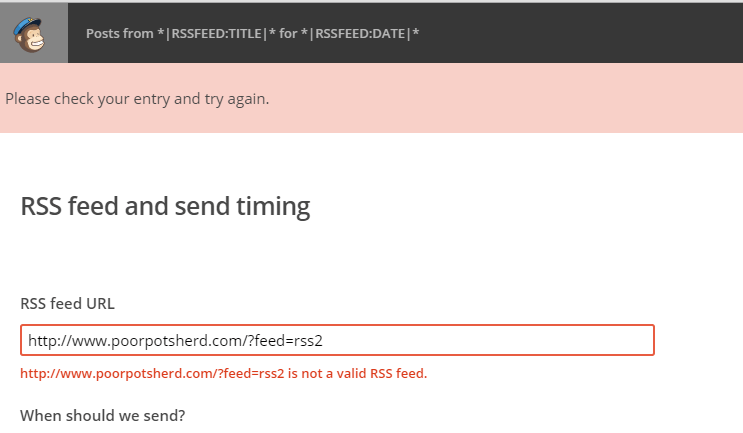 I tried some different URL feeds, even the “custom” ones, but I still got the error in Mail Chimp. I won’t go through all the permutations I tried, but I will tell you the custom URL finally worked. The reason I was still getting the Mail Chimp error was because it took a little while for Mail Chimp to read any new URL I entered and then to give me a new assessment. I think I was not waiting long enough for Mail Chimp to process the URL I entered. Someone in the Genesis Community Forum suggested I try the the http://example.com/feed URL, which I had already tried. I decided to try it again, and when I tried it, I got the error message still. But I turned away from my computer to do something else and when I turned back around, the URL had been accepted. So lesson learned: Give Mail Chimp a little time to process a new URL you input if the first one gives you an error. In my next post, I will show you how I used this to set up my campaign.